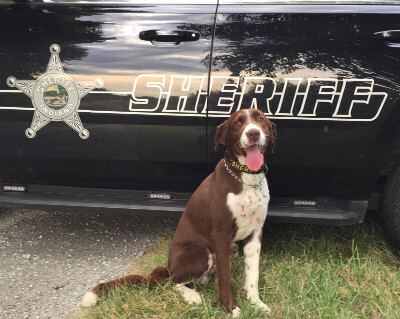 The Hancock County Sheriff's department K-9 Unit consists of five highly trained K-9's and handlers. We have two single purpose and three dual purpose K-9's currently working. The K-9s are certified in patrol and narcotics work. The Hancock County Sheriff's Department Reserve Division is comprised of volunteers willing to provide a serving to the citizens of Hancock County. These volunteers are sworn officers empowered by the Sheriff of Hancock County to help preserve law and order in the county. The Division was originally established in the 1950's under the name of the Hancock County Sheriff's Civil Defense Reserves. The Civil Defense Reserves operated under the Sheriff's authority and additionally provided basic EMT services. At this current time, the Reserve Division still operates under the Sheriff’s authority alongside those deputies in the Patrol Division, Investigation Division and Jail Division. Reserve Deputies also perform in special assignments as designated by the Sheriff, such as Hancock County Fair, Air Shows and other events. 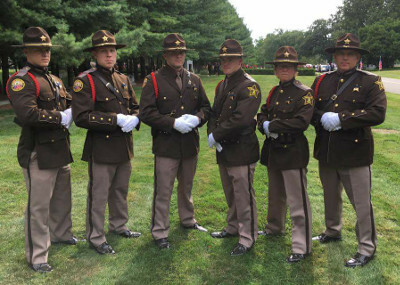 The Hancock County Sheriff's Department Honor Guard was formed in 1987. The team was re-established in 2001. With the re-establishment of the Honor Guard, the Sheriff and current member of the team decided to commemorate Corporal Danny Garrison, which passed away on-duty from a heart attack on January 1, 2000, by naming the team "The Garrison Honor Guard".